J. Clancey Bounds, the founder of Bounds Law Group, has been a practicing trial lawyer for 26 years. During his career he has litigated cases in multiple states including Florida, California, Arizona, New Jersey, North Carolina and Georgia. He is licensed to practice law in five states and has been admitted to practice in multiple Federal Jurisdictions. Mr. Bounds is an accomplished trial lawyer whose practice involves primarily Medical Negligence Litigation. Mr. Bounds is a frequent lecturer to legal associations on the subject of medical negligence and has been listed as a Super Lawyers “Rising Star” in the area of medical malpractice litigation. Mr. Bounds has obtained many multimillion dollar verdicts and settlements for his clients including his first million dollar verdict at the age of 30. Prior to founding Bounds Law Group, Mr. Bounds was a partner with a statewide medical malpractice defense firm and exclusively represented physicians and hospitals in medical malpractice matters. After deciding to change the focus of his practice to the injured and their families, Mr. Bounds joined the national firm of Maher Guiley and Maher, where he was responsible for running the firm’s medical negligence litigation department. 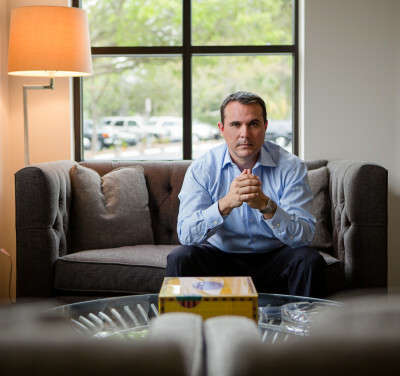 Mr. Bounds graduated from the University of Florida with a Bachelors in Political Science in 1990 and thereafter obtained his Juris Doctorate degree from Stetson University College of Law in 1993.